veterinarians from the ontario veterinary college marked a potential breakthrough in cancer research by successfully 3D-printing a titanium plate for surgery on a dog’s skull. 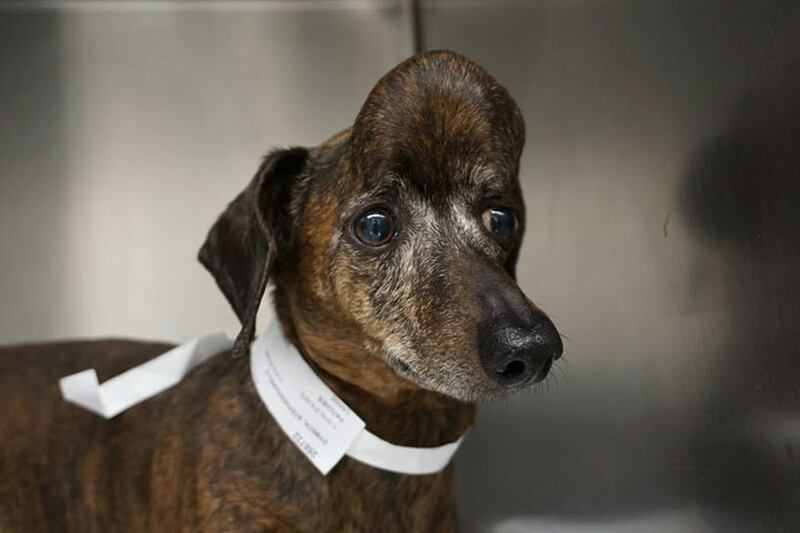 a dachshund named patches had a large cancerous tumor growing on her skull, which was removed and replaced with a custom implant that fit into place like a puzzle piece. led by dr. michelle oblak with dr. galina hayes, the difficult surgical procedure demonstrates a huge potential for 3D-printing technology across many areas of the medical field. ‘the technology has grown so quickly, and to be able to offer this incredible, customized, state-of-the-art plate in one of our canine patients was really amazing,’ dr. oblak said. dr. oblak worked closely with a team at ontario veterinary college specializing in RaPPID (rapid prototyping of patient-specific implants for dogs), mapping the tumor’s location and size. in collaboration with an engineer from sheridan college’s centre for advanced manufacturing design and technologies, dr. oblak created a 3D model of the dachshund’s head and tumor in order to ‘virtually’ perform the surgery, and see what would be left behind following the growth’s removal. 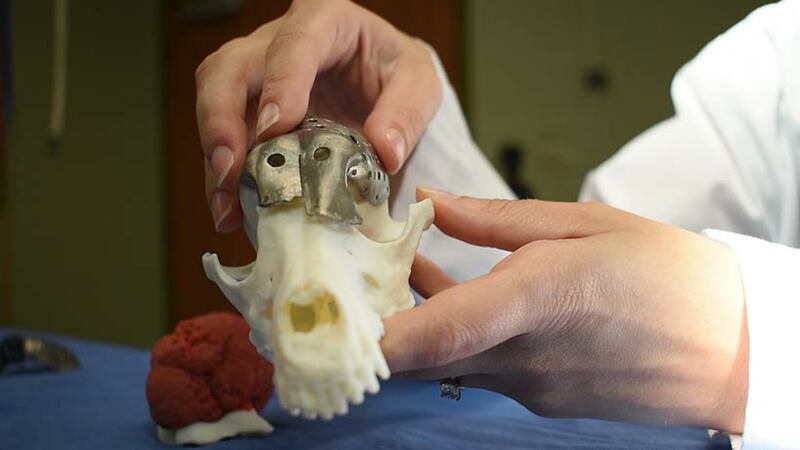 ‘I was able to do the surgery before I even walked into the operating room,’ said oblak, holding the 3D printed model of the dog’s skull with a detachable model of the tumor. once dr. oblak determined the dimensions of skull, she worked alongside 3D medical printing company ADEISS on developing a skull plate which would replace the part that needed to removed. during the surgery, oblak and hayes had to replace about 70% of the top surface of the dog’s skull, leaving a large area of the brain unprotected. typically surgeries of this kind are extremely difficult and lengthily — once the portion of skull is removed, surgeons must assess the damage and shape titanium mesh over the spot. in this case, the doctors fit the 3D-printed plate into place perfectly — a technique that will eliminate the need to model an implant in the operating room and significantly reduce patient risk.